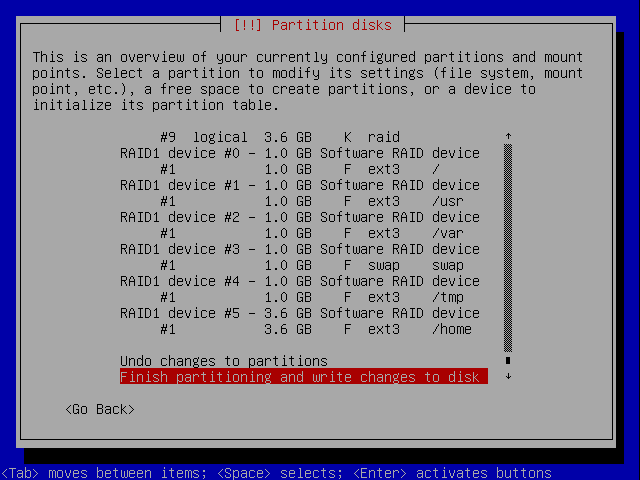 I like this partition scheme and i was going to make the same on new system. 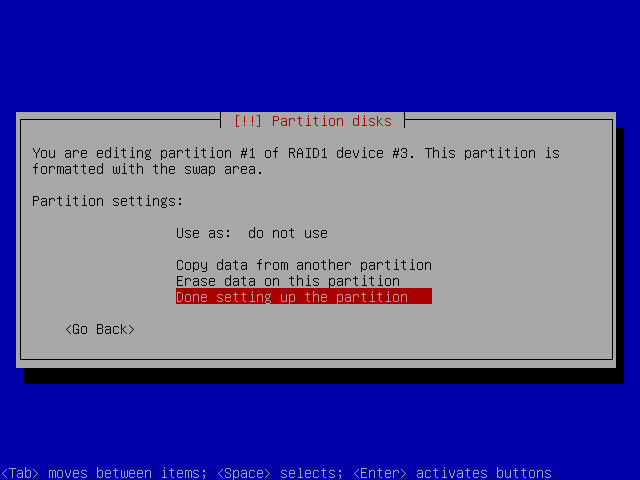 In case of switching from i386 to amd64 it is recommended to install system from scratch. 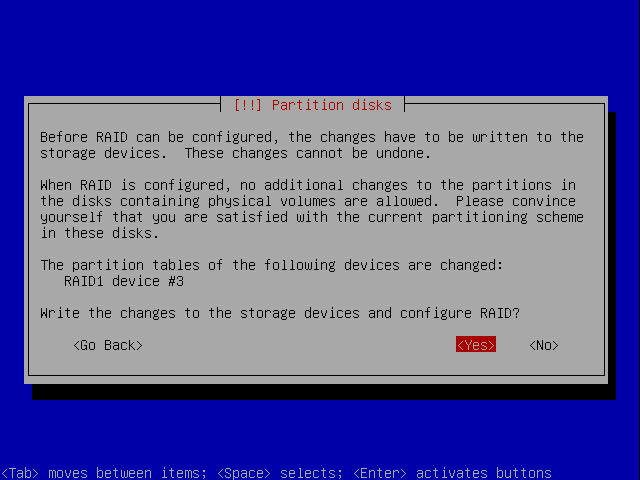 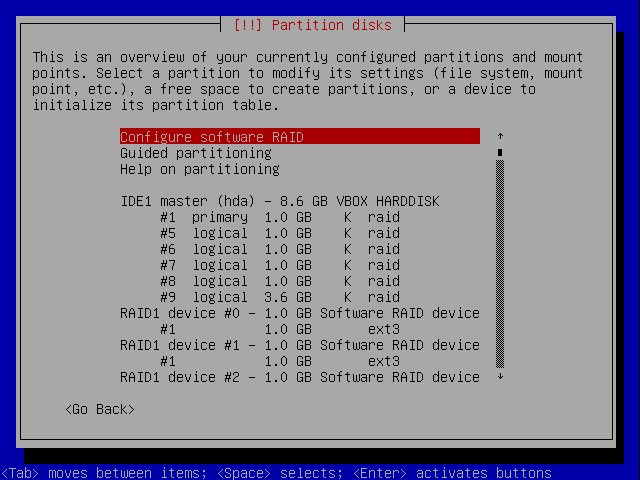 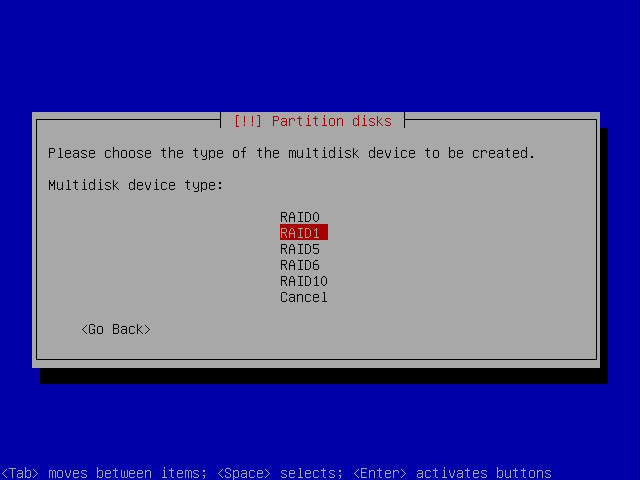 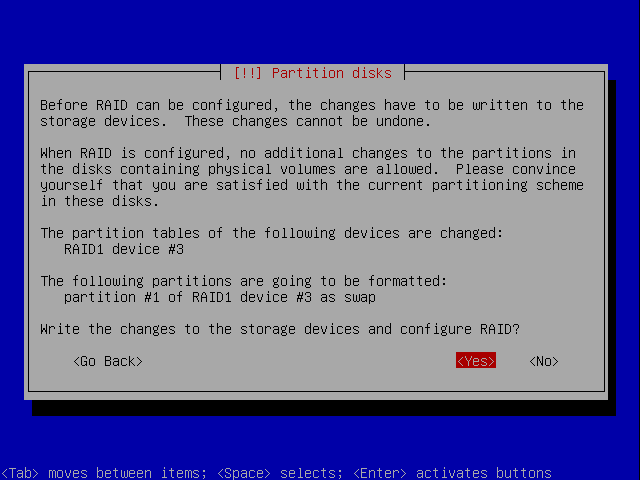 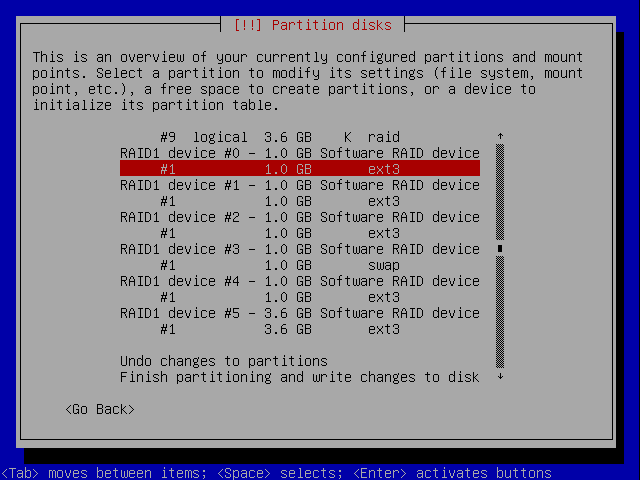 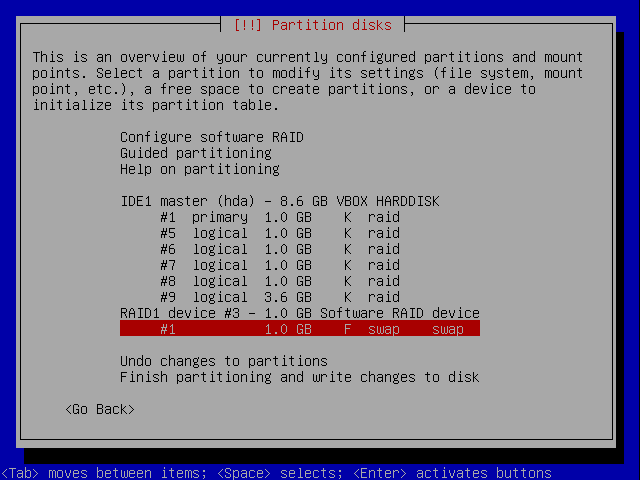 But i have a RAID1 configuration - so why not use this? :) So my plan was to disconnect second disk (to have system runnable in case if something goes wrong during instalation process). 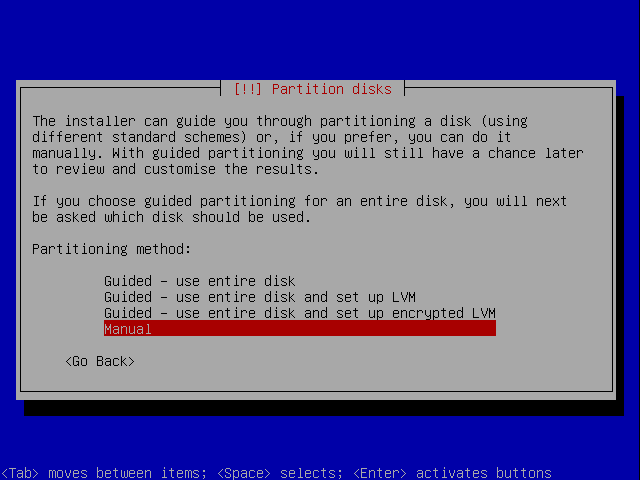 And then install the new fresh system on first disk. 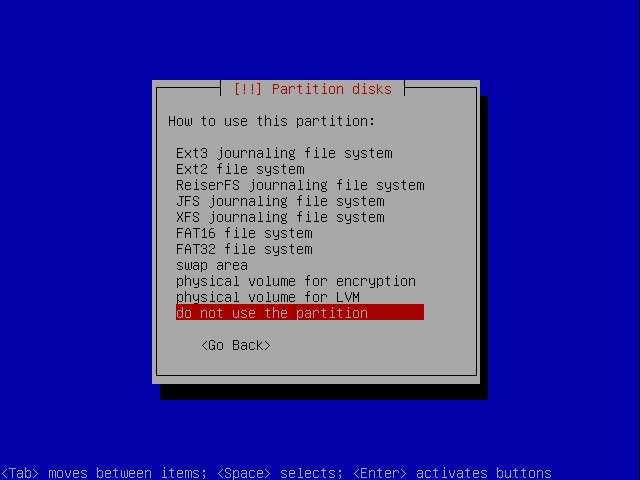 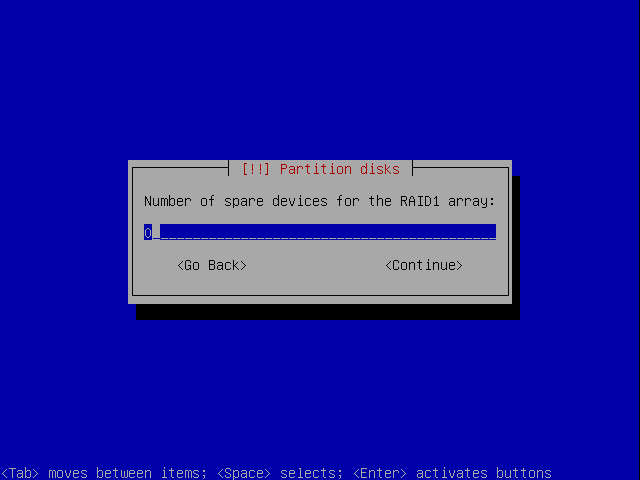 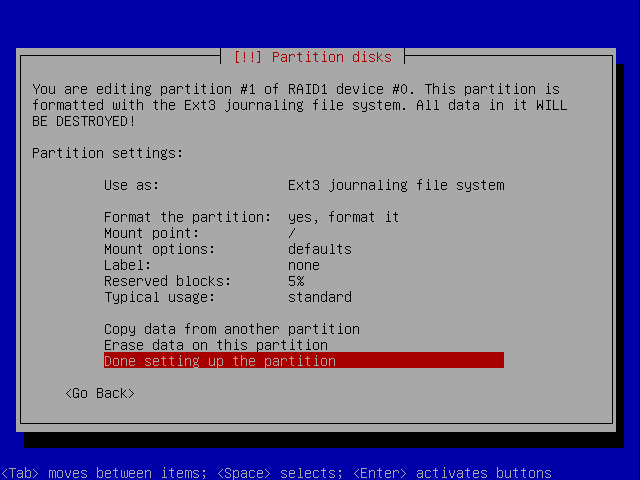 After installation - mount the second disk partitions, move the needed data and after some days - hot add second disk partitions to the base amd64 system as a raid devices. 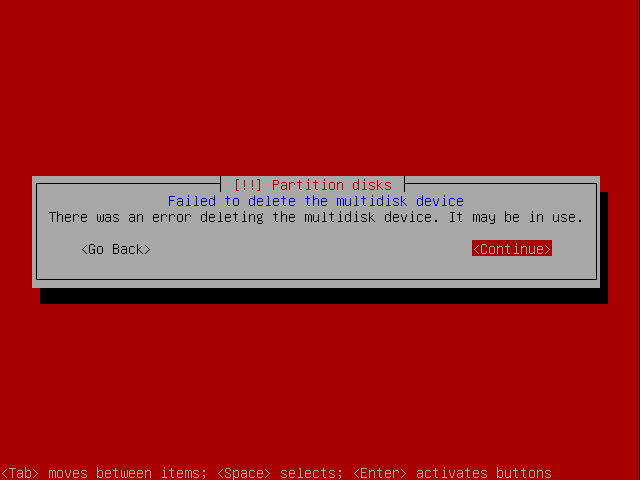 The one thing that i had to deal with was, that during some time my data was not mirrored at all. 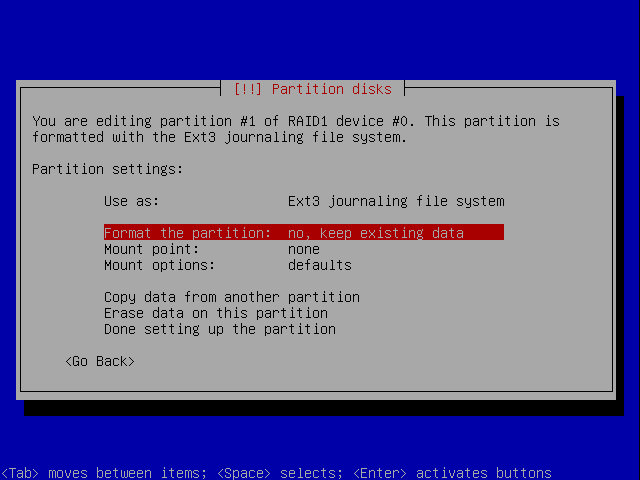 So i made a backup of most essential data on other machine before i started everything. 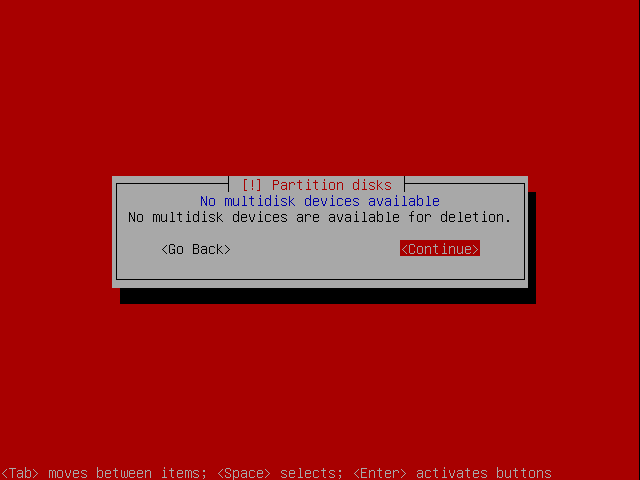 I disconnect the working /dev/sdb from mainboard, and connected back the /dev/sda - on this disk i was going to install new Debian. 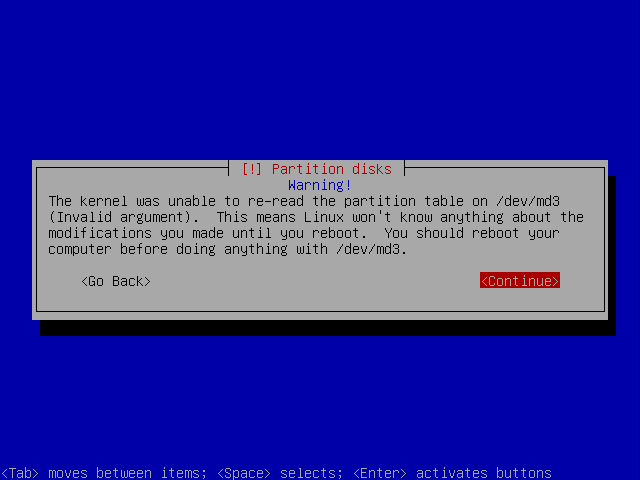 I inserted thr Debian NETINST CD in amd64 version and started the fresh installation. 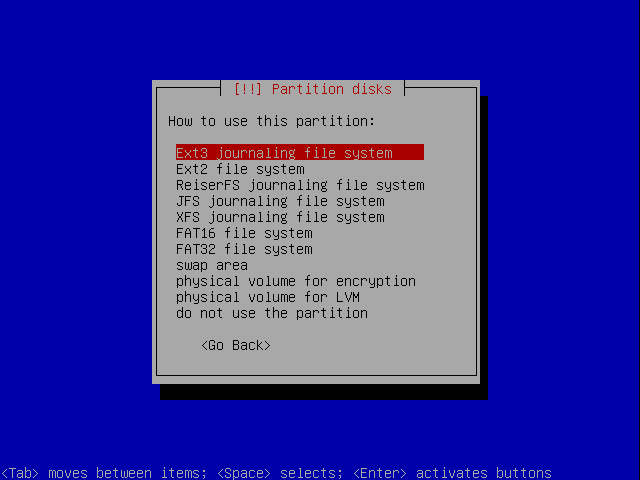 I repeated the installation steps on VirtualBox (for this tutorial need). 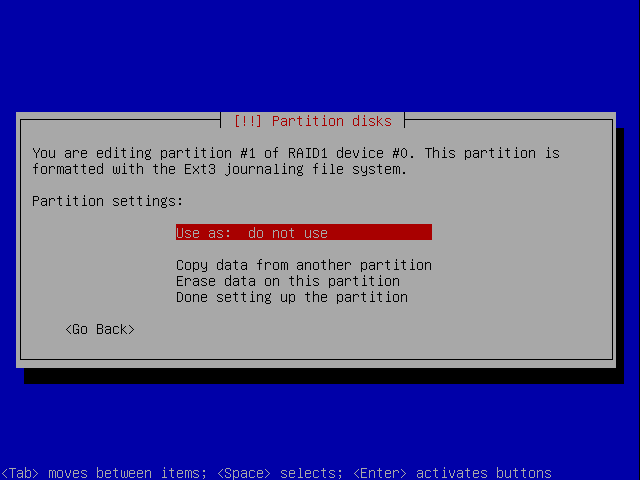 The only difference is, that on screen is hda instead of sda and hdb instead of sdb. 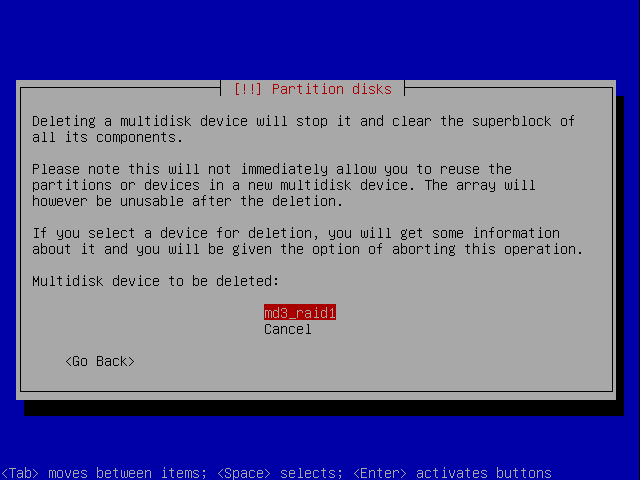 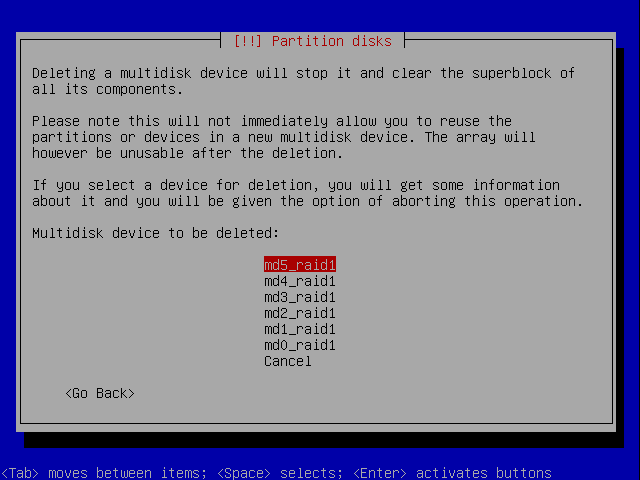 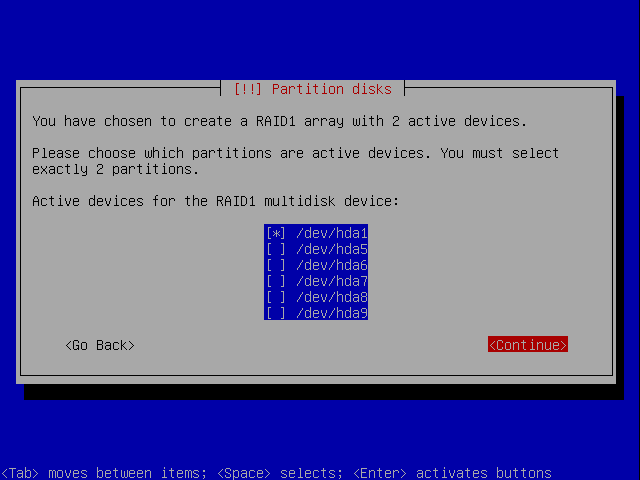 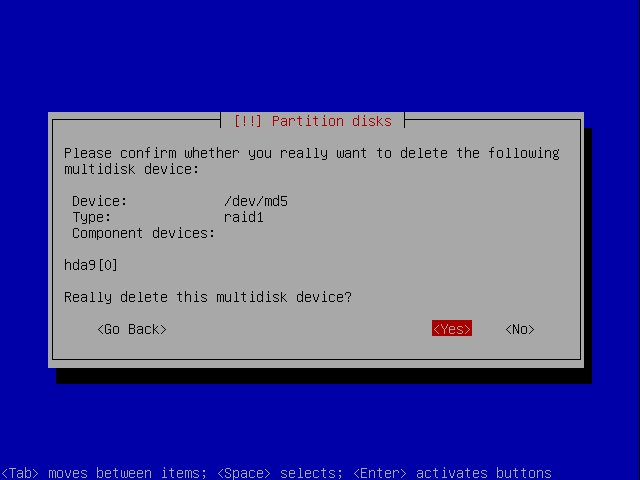 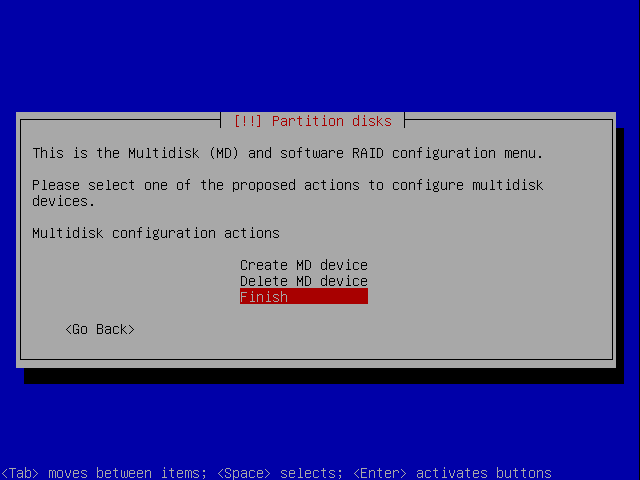 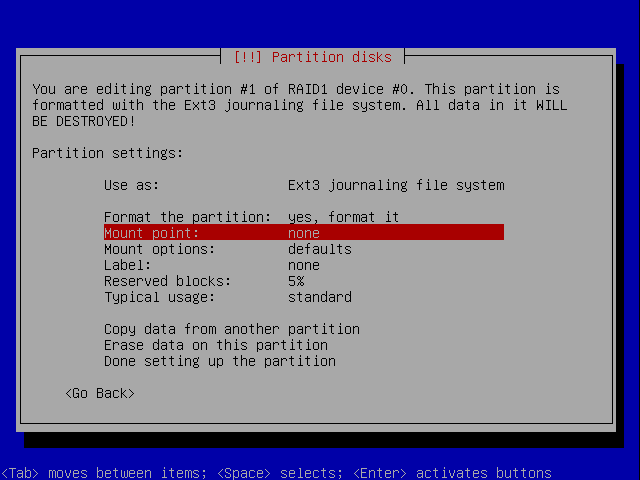 i needed to delete all raid devices, but leave a 'raid autodetect' partitions - so i choosed "Delete MD device"
... and "do not use the partition"
I repeated these steps for all arrays, and selected "Finish"
Then installation continued. 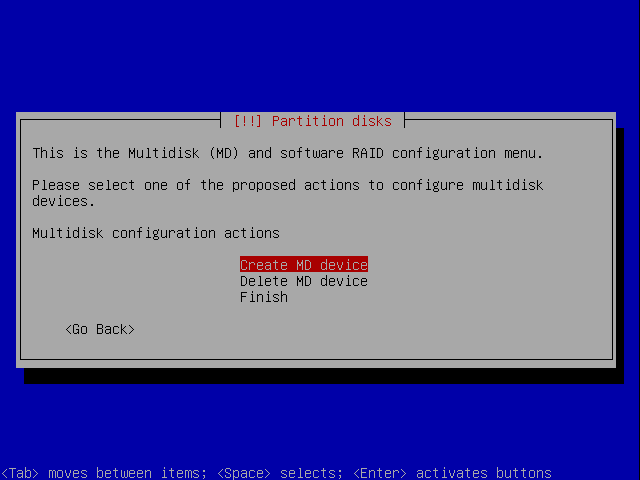 When installer asked me for categories of software i would like to install i set nothing, and then Continue. 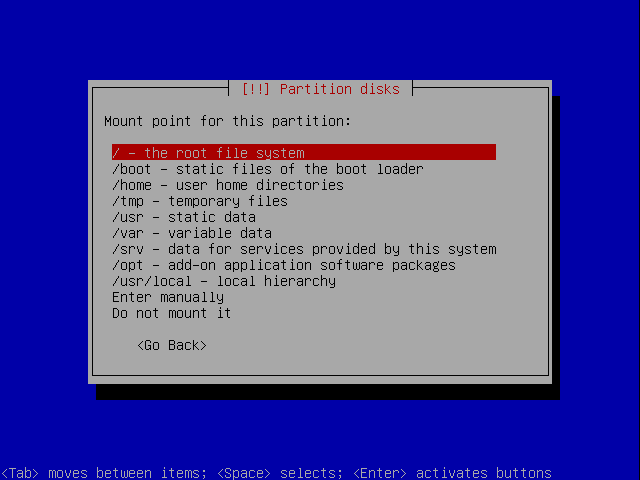 It is of course not necesary but I like to have a control over installed packages - so i'm always installing only base system, and then the packages which i really need. 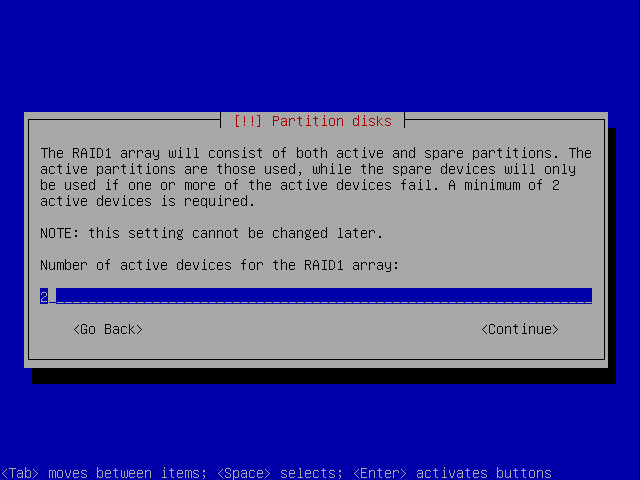 This makes my system without a packages, which i don't know at all. 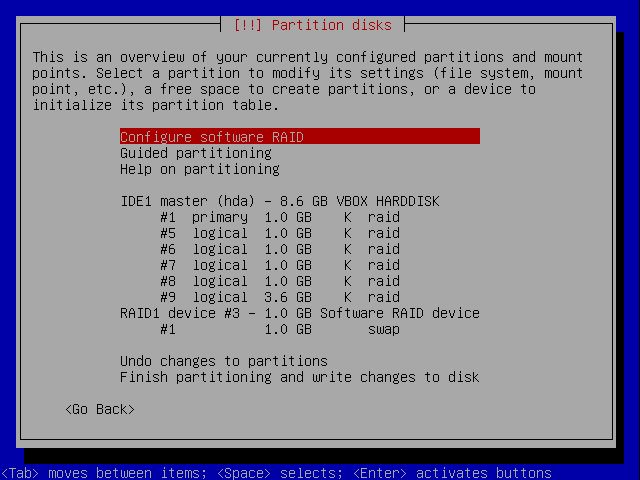 And i have all my partitions mounted. 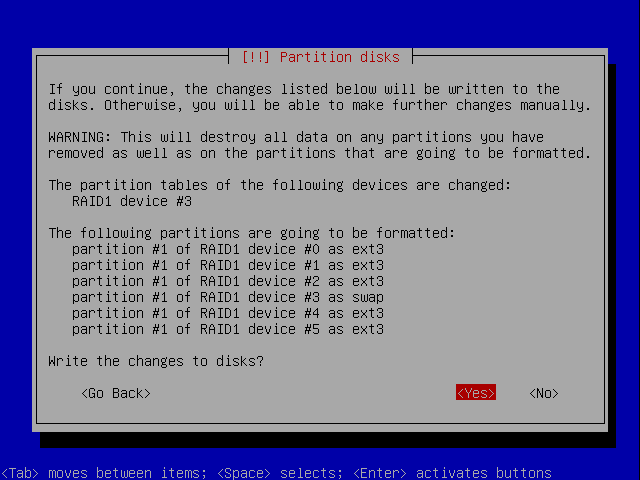 Then it was a time to move needed data and configs.